Are you prepared to throw the summer party of the year? 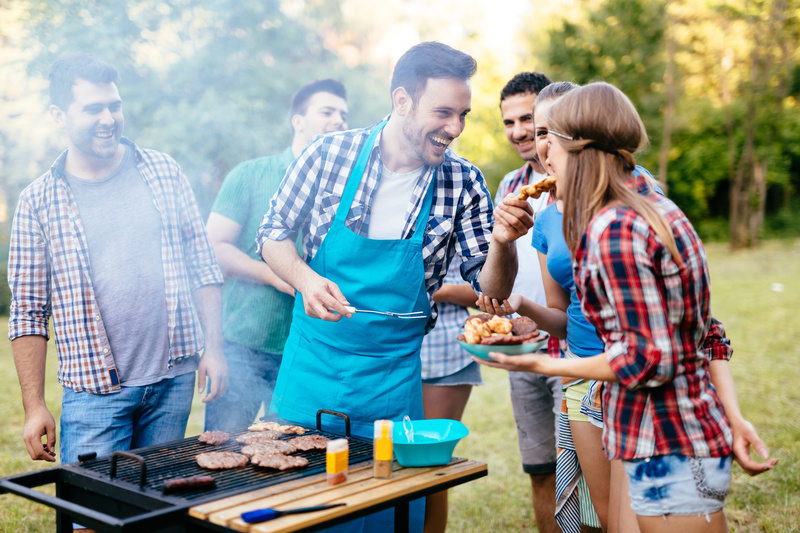 If you want to impress your friends and family with a great summer party, you’ll need to have a plan and some supplies on hand. Anyone can throw a party, but to really impress the crowd, it takes a bit of prep work. If you’re ready to make the most out of the summer season, we’ve got what you need. In this guide, we’ll show you everything you need to have a hit party for any occasion. Keep reading and get ready to soak up the sun! Party invitations aren’t just outdated traditions that need to be reserved for weddings and graduations. A great invitation can raise the level of your party even before it gets started. And by “invitation,” we don’t just mean an invite to a Facebook event. Modern technology is incredibly convenient, but the flip side of that is that it’s also very impersonal. So if you want your party to stand out, make it personal! An old-fashioned, mailed invite will let guests know that your party is something really special. These invites don’t have to be stuffy – they can be modern, cool, and funny too. This also lets you consider your theme early. From stationary to stamps, you can play up your party theme in the invite and get guests really excited for the event. Summer is high time for parties, so make sure to get on people’s calendars early with an invite. If they’re thinking about it early, they’re more likely to come to your summer party – and to have a great time. Whether your party is casual or fancy, guests appreciate the details. A nicely-set table shows you want to go above and beyond for the attendees of your summer party. You don’t need anything fancy for a nice table. Count up how many guests you have, and see what you have at home to make place settings with. Or, if you’re doing something more casual, focus more on decor like centerpieces than on full place settings. Get creative – you can find great table decor at thrift shops, as well as inexpensive new items online. Having a color scheme goes a long way, even if you’re using paper plates and plastic forks. Flowers – even fake ones – can make any party feel classier. Plus, they’re the perfect touch for a summer party, since so many flowers are in season. If you have a garden, cut a few flowers just before your party. You don’t have to make full bouquets – a single flower can do wonders to dress up a table or counter. Use cool, mismatched glassware for your vases – just make sure to choose items that you won’t miss if you get broken. No garden? No problem. Pick up a cheap bouquet or two at the grocery store, or scan local craft stores for fake flowers that match your color scheme. If flowers aren’t your style, use other summery natural elements, like seashells. You don’t need a lot of money, just plenty of creativity. It’s easy to overlook one of the biggest necessities for a summer party: having enough seats for everyone. Make sure you plan ahead so your guests don’t have to play musical chairs! Do a thorough inventory of your furniture while you’re planning. If you’re having an outdoor party but you only have a few patio chairs, commission some of your indoor chairs for use. You can also use stools and ottomans for extra seating. On a nice day, you can even put some quilts on the ground and let your guests sit picnic-fashion. If it’s an indoor party, think about getting some comfortable floor cushions that guests can sit on if seating starts to run out. Still don’t have enough seating to go around? You can actually rent chairs! Renting isn’t too expensive – you can usually pick up folding chairs for the day for about $2 each. While you’re at it, you can also rent a grill, speakers, coolers, and other things you might need. Some vendors even offer free drop-off and pick-up, so you won’t have to worry about hauling items. Lighting can make or break your party’s ambiance, so give it plenty of thought while putting together your summer party. You don’t need a lot of lighting, though – keep it dim and ambient, and let people’s eyes adjust. For an outdoor party, try stringing lights across tree branches, or the fence. Round globe lights will give you the most visually appealing glow. Use tealights or hurricane lanterns for extra light on the areas that need it most, such as the dinner table. Be careful with the placement of your extension cords, though, since they can easily trip guests. If you’re running cords along the ground, pin them down using bits of wire bent into a U-shape. Place the wire over the cord and hammer it into the ground, so the wire is flat and doesn’t create a trip hazard. Today, everyone with a smartphone has a camera in their pocket at all times. People will almost certainly be taking pictures at your party – why not plan ahead to make sure those pictures are amazing? While you’re picking up your decorations, consider grabbing a few fun things that guests can wear, like sunglasses or paper hats. These make for the perfect silly party selfies. You could even set up a “selfie booth” area with accessories, lighting, and a backdrop to encourage your guests to document the moment. Once those pictures hit social media, everyone will be talking about your summer party. As you can see, putting together a stellar party is easy. It just takes a bit of planning and attention to detail to do it right. However, you don’t have to do it all by yourself. There are plenty of party planning and catering companies that can help you take things to the next level. Want to beat the heat with catered ice cream? Check out our event catering services here!